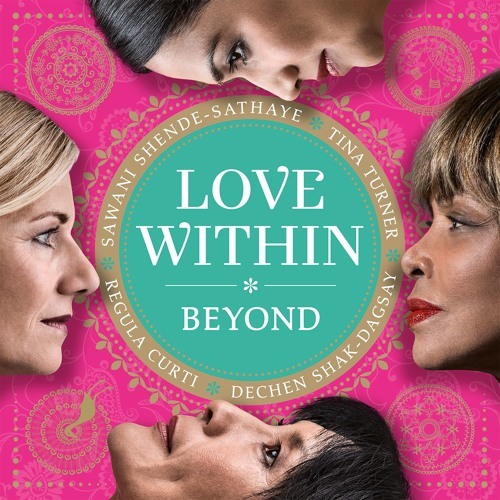 GO TO THE MOTHER WITHIN Buddhist, Christian and Hindu prayers featuring Tina Turner, Regula Curti, Dechen Shak-Dagsay and Sawani Shende-Sathaye. This music is a praise to all divine Mothers, goddesses and saints, to the female power within all of us. Unconditional love is powerfully shown in the symboles of the Divine Mother of all faiths and cultures, religious and non religious. Compassion and love is the all embracing sound of the heart. On this CD we have Tina chanting Baptist prayers from her childhood and imparting the overall spiritual message "love within", Dechen singing Buddhist mantras, Regula Christian prayers and Sawani Hindu mantras. As on the platinum nominated album BEYOND the four singers have been undertaking the challenge of merging eastern and western music and overlapping their prayers in one song. They have succeeded in creating a universal and passionate sound. Their singing will help you to nourish values like love, kindness and compassion, forgiveness and tolerance.